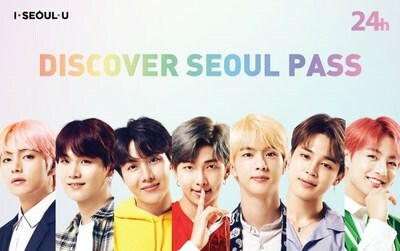 SEOUL, South Korea, March 15, 2019 /PRNewswire/ — As an honorary ambassador of Seoul, global boyband BTS will be featured on the Discover Seoul Pass. The pass is made by Seoul City and Seoul Tourism Organization. Pre-orders for the limited edition start March 15th. The Discover Seoul Pass has become a must-have for tourists by offering exclusive benefits to the most popular attractions in Seoul. With a variety of landmarks covered, you can select your favorite attractions and plan your unique trip. 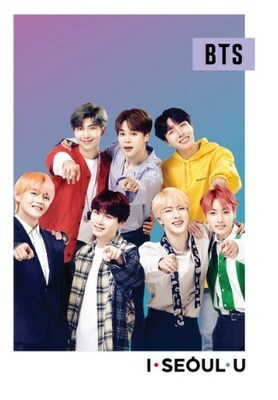 The Discover Seoul Pass BTS Edition includes a photo postcard with all the members of BTS and an English tourist map. This edition can also be used for the Discover Seoul Pass free admission and discount attractions. Tmoney is not supported. The Discover Seoul Pass BTS Edition is a limited edition. It is possible to purchase the pass online and collect it in Korea, or purchase it directly at the Myeong-dong Tourist Information Center. Offline purchase is possible from March 20th at 10:00 from the Myeong-dong Tourist Information Center, located behind KEB Hana Bank main office. The pass is exclusive for foreigners. Passport or alien registration card must be presented to purchase. Offline purchase is possible between 10:00 and 18:00 from March 20th until April 10th. Available until stocks last. Purchase is limited to ten passes per person. Passes are sold on first-come-first-served basis and only cash is accepted. All customers have to sign the terms and conditions for resale, refund, and exchange policy. A list of international sellers can be found on the Discover Seoul Pass website (www.discoverseoulpass.com) and Visit Seoul website (www.visitseoul.net). Passes for online orders can be collected from designated collection points starting March 20th at 10:00. The collection points are at Incheon Airport T1/T2, Gimpo Airport, and Myeong-dong Tourist Information Center. The Discover Seoul Pass BTS Edition is available for online orders. *Tmoney is not supported. Refund is allowed on the same day if unused and unopened. Offline purchase and collection of online purchase starts March 20th at 10:00.